Kolte Patil Mirabilis is a residential type of apartments which is coming up at one of the prime locations of Bangalore. These are all premium residences in a well-established locality. It is a safe, secured and relaxed residential complex that is coming up at Horamavu, off Banaswadi Outer Ring Road with great connectivity to Hebbal, Whitefiled IT Park and the international airport. Kolte Patil Mirabilis Horamavu is spread across 8 acres and has 7 towers, out of which four towers are made in Phase 1. There are 12 apartments on each of the floor and hence there are a total of 618 houses for sale. The houses are of different sizes and budgets to match the requirements of all individuals. The houses come in the configuration of 2 and 3 BHK. The size of these houses range from 1028 sq. ft. to 1600 sq. ft. of area. The interiors of the houses are plush with modern and chic fittings. The houses are spacious and designed to provide you with great comforts. There is plenty of air and light flowing thorough the houses. Cross ventilation keeps you fresh and healthy. The balconies are made wide so that you can enjoy the overview of the property. There are plenty of amenities in the property such as a garden, tree atrium, community hall, cub, gym, swimming pool, tennis court, a spa, squash court, kids’ play area and a shopping mall. The houses have been made with RCC-framed structure. There are balcony doors with a 3-track powder coated aluminium sliding doors with an intact mosquito mesh. There is great flooring in this property with foyer, living and dining and kitchen vitrified tiles. There is an intercom facility provided and also firefighting equipment is available for safety. There is water and power back up of 24 hours. There is a provision for rain water harvesting and a multipurpose hall has been made for throwing parties or conducting functions. There are lifts to take you on to different floors. Moreover, the property has its own sewage treatment plant to recycle the sewage. There are a lot of plants and trees planted all around to ensure that there is enough greenery around. The property has been made well with a designated staff for maintaining it. The greenery around ensures that the noise from outside is cut off and there is ample fresh air for residents to stay healthy. Kolte Patil Mirabilis Bangalore offers a great investment value too. There are plenty of options to invest in property but Kolte Patil has a great brand value attached to its name. Kolte Patil Mirabilis price starts from Rs. 51.60 lakhs and going upwards upto Rs. 80.82 Lakhs. The property has financial back up of reputed banks to allot the properties on instalment basis. This property surely has a great return on the investments made now. Kolte Patil Developers: They create what others construct! Creating landmarks for last 25 yearsKolte-Patil Developers is one of the leading real estate companies headquartered in Pune. The developers have worked on a diverse real-estate portfolio consisting of residential, commercial, retail, IT parks, and integrated townships developments. The company largely marks its presence in the cities of Pune, Bengaluru and Mumbai. They work on the core value of morality, novelty, eco-friendliness, expertise and sustainability. The firm dedicates itself to offering futuristic creations with commitment to time schedules. 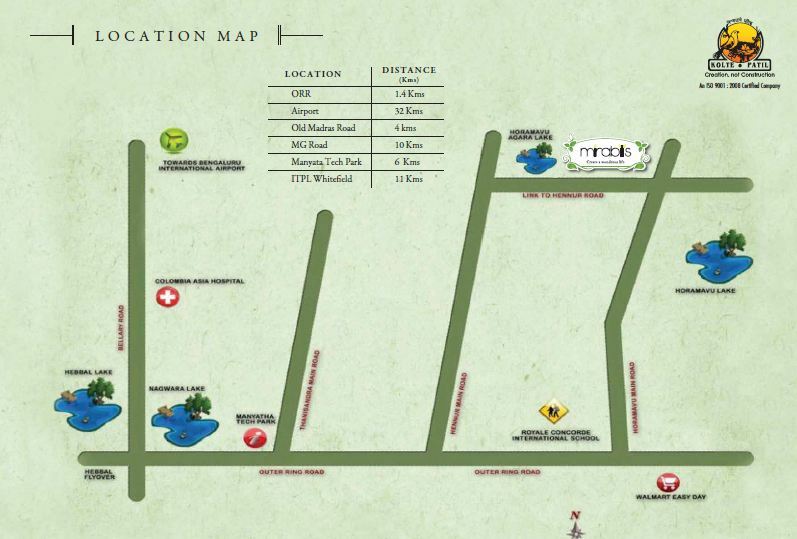 Horamavu, Close to Manyata Tech Park in North-Bangalore is the prime location of Kolte Patil new launch. The company has announced the creation a lavish gated community on this location. The estate is to offer sophisticated configuration s in 1, 2, 2.5, 3 & 4 BHK units with prices starting from Rs. 27 lakhs. 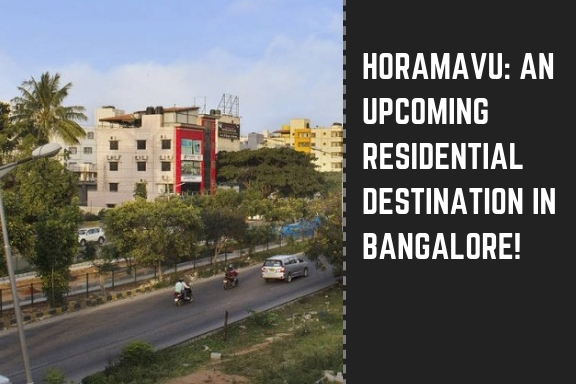 The property in horamavu Bangalore shall enclose expansive apartments, top-quality furnishings, best features and world class amenities in a contemporary layout. Kolte-Patil Developers is also coming up with another premium residential project in one of the most prime locations of Bangalore, i.e.Electronic City. Pitched as “Tallest Building in Electronic City”, the name of this ambitious project is Kolte Patil iTowers Exente offering 1,2,2.5,3,4 BHK spacious apartments at great prices which starts from Rs.35.37 lakhs and features wonderful amenities for luxurious living. STRUCTURE - RCC framed structure. FLOORING - Foyer/ Living and Dining/ Kitchen Vitrified tiles. DOORS - Balcony doors : 3 track powder coated aluminium sliding doors with mosquito mesh. Kitchen -Granite counter with stainless steel sink-single bowl with single drain board of reputed make.